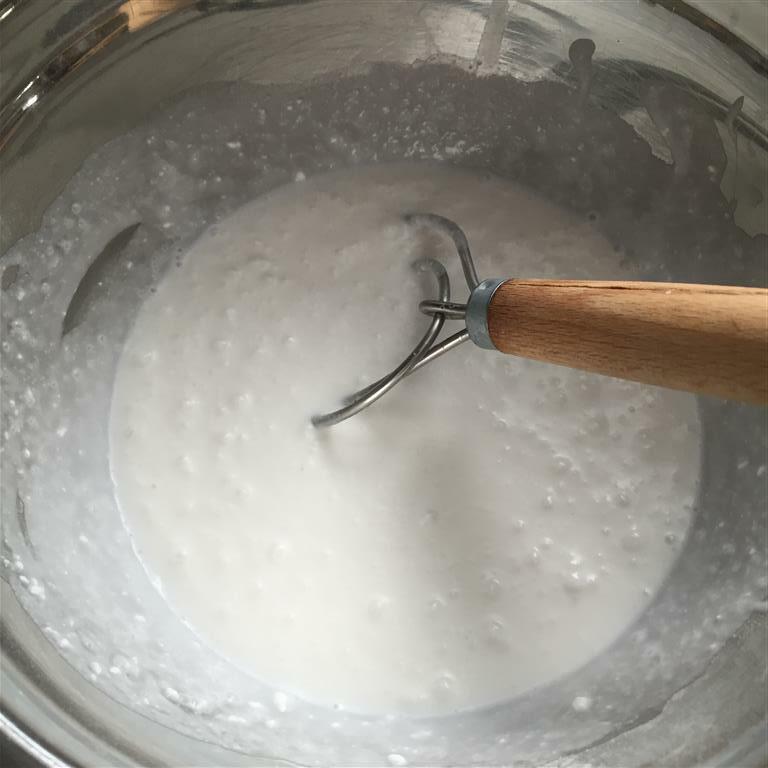 The first step to making the cupcake batter is emptying a can of coconut milk into a bowl. This step looks gross. 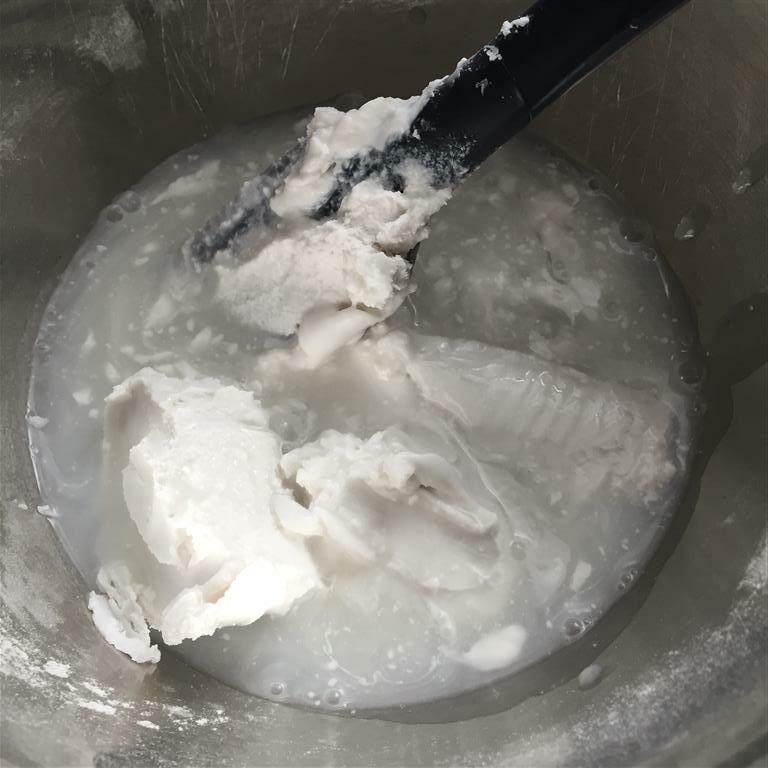 Coconut milk is slightly grey and watery and full of chunky solidified coconut oil. It looks only marginally better looking after it’s been well whisked to make it smooth. Fortunately, it makes for yummy cake batter. 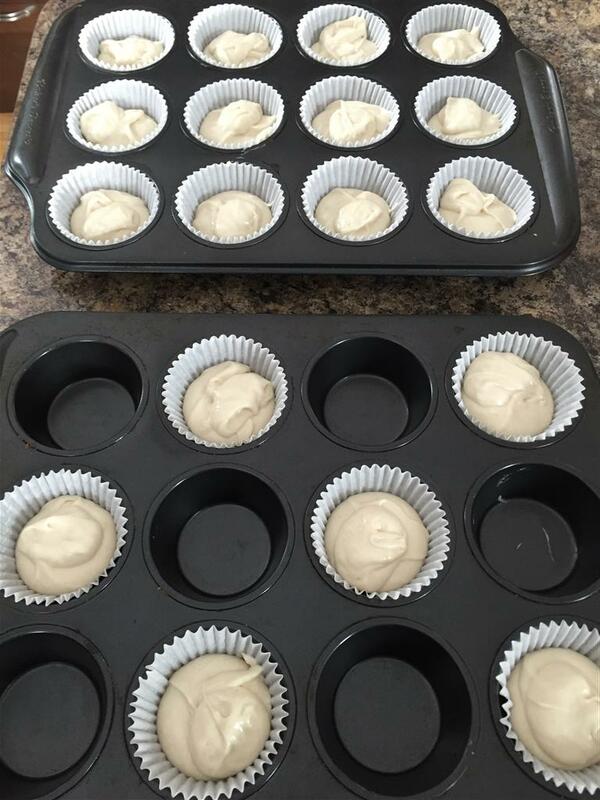 The batter’s scooped into muffin liners and baked. The interesting thing about this recipe is that it calls for a 20 minute rest before it goes into the oven, to cause a rounded top. I’m not sure what the science behind this is, but I’d love to hear your thoughts on that. 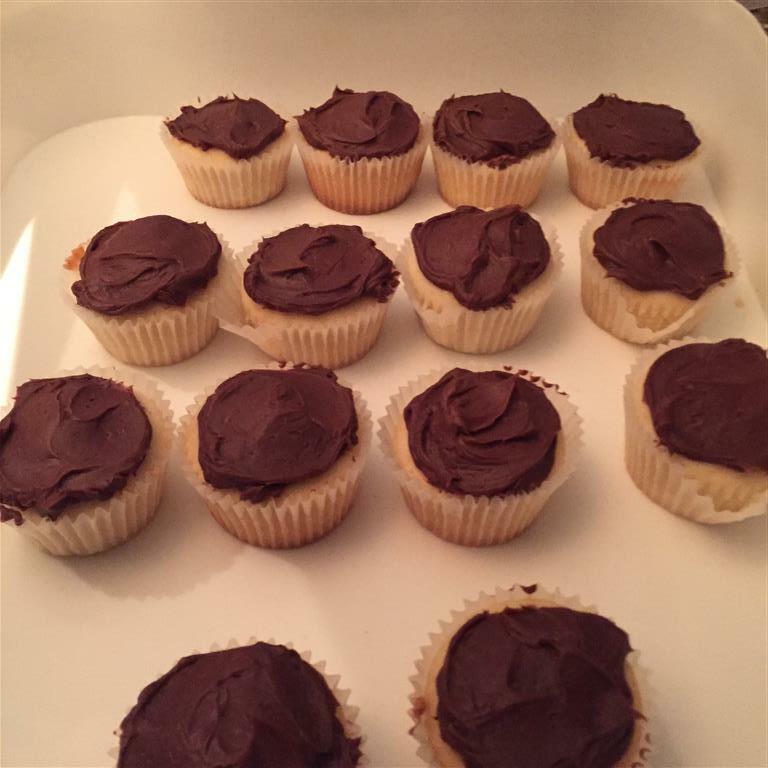 These cupcakes were topped with the milk chocolate ganache – which isn’t milk-based. It’s heavy cream, with mid-dark chocolate and white chocolate mixed in. Yummy. It’s interesting to see the coconut milk is in chunks over there that you have to whisk it. Our coconut milk in can is liquid..not much stirring is needed..maybe it’s the weather. “Coconut taste, not horrible coconut texture.” That’s funny! 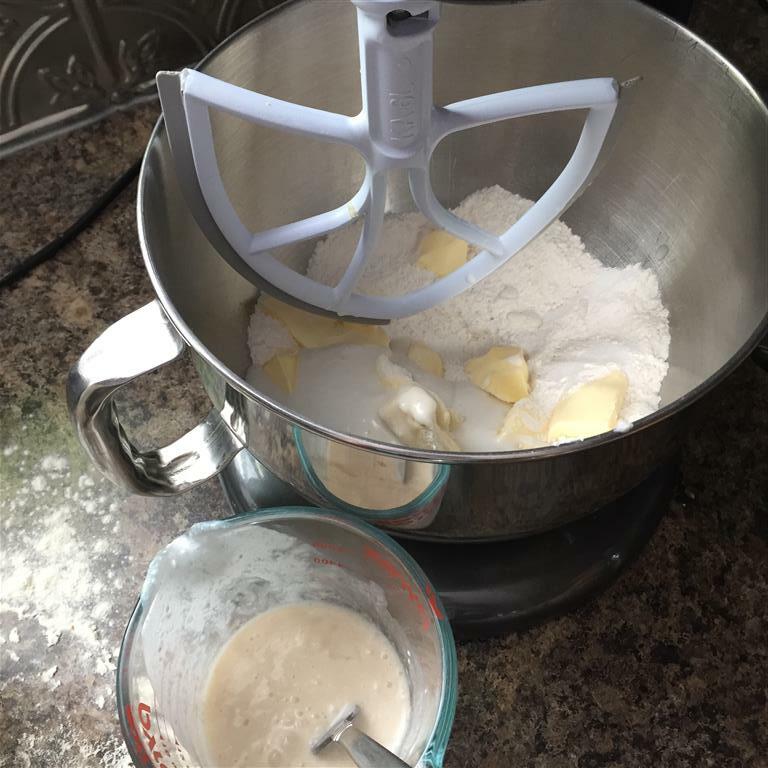 Great idea to use the dough whisk. That ganache frosting looks as good as Christmas fudge. 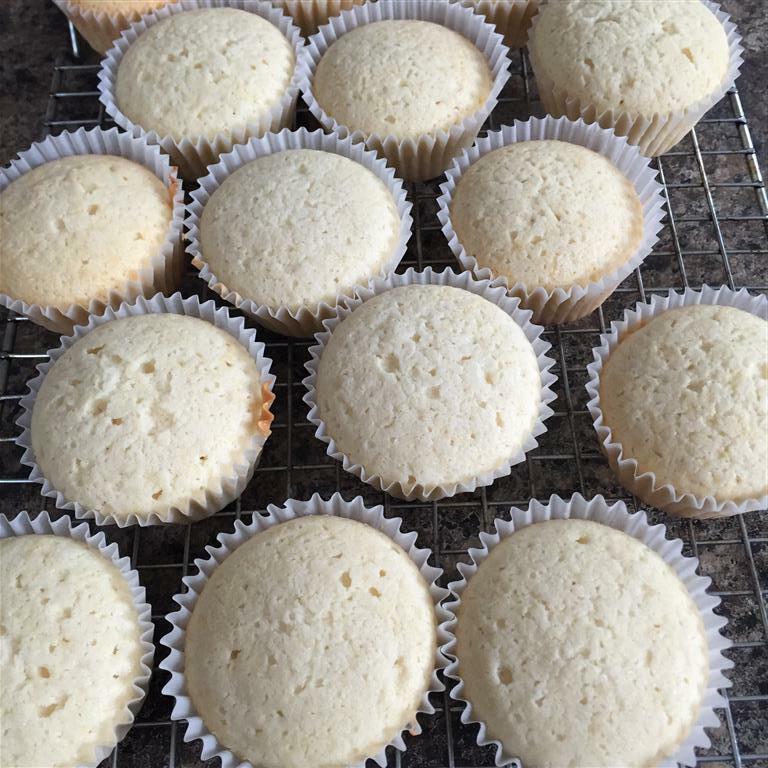 nice post and write up , your coconut cupcakes like nice and fluffy, I had a problem with the ganache , so I deiced to chill and whipped it up. Funny how lots of people don’t like coconut. I guess shredded coconut has a particular texture. These were great cupcakes and I’m glad even the coconut doubters liked them.